Renniks: R33s. 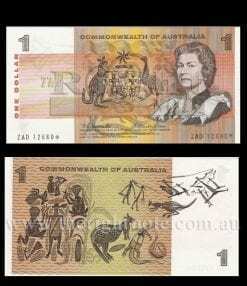 CODE: RO Australian Pre Decimal Star* Banknotes (PAIR). 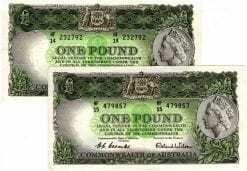 Banknote Description: One Pound. Coombs/Wilson. 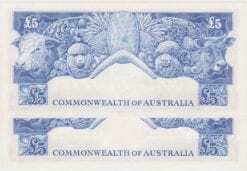 Commonwealth Bank Circa 1954 Serial Numbers: HC96 05626/27. 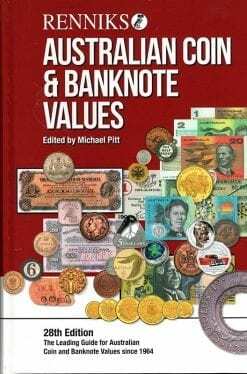 Grade: Uncirculated. Matched Pair. Renniks Number SP02. CODE: SK. 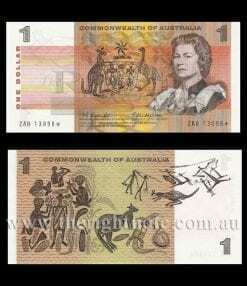 Australian Type One Specimen Banknote. Denomination: Two Dollars. Signatures: Coombs/Wilson. Circa: 1966. Serial Number: FAA 000 000. Grade: Uncirculated. RR: $6650.00. Source Renniks 28th edition 2018. 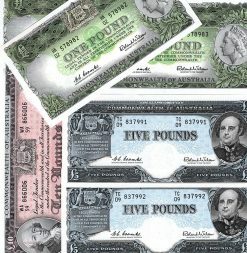 Five Pound. Signatures: Coombs/Wilson. Circa: 1961. Serial Number: TB85 149467. 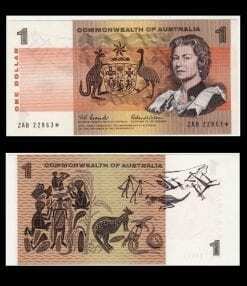 Grade: Uncirculated. 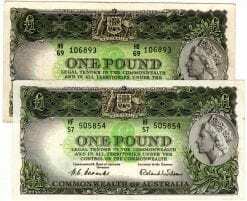 Queen Elizabeth II RR:$750.00. Source Renniks 28th edition 2018. 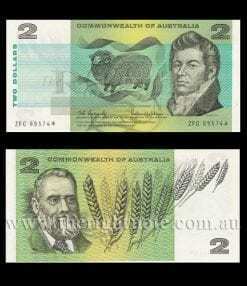 Coombs/Wilson banknotes available in singles and runs ofr 2, 5 and 20. 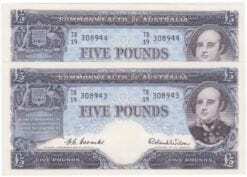 All banknotes come with Certificates of Authenticity.